The self help pole is available for both the Walmsley Bed range, and for the Deutscher Rose (II) floorline bed. The pole can be fitted in the socket at the head end of the bed (on either side) for the Walmsley DM series range. Bolt on adaptor sockets are available to suit all other beds. In accordance with AS3200.2.38, the pole is designed to handle a safe working load of 75kg. 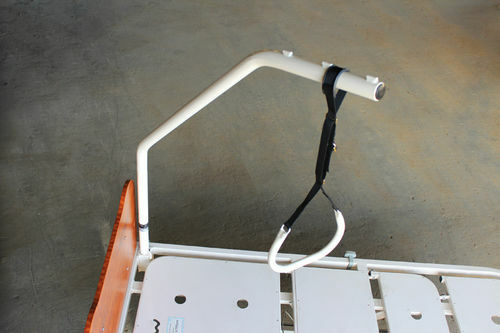 A strong handle and adjustable strap is attached.